A partnership protocol is to be signed with the financial partners of the Eco-Vallée. It details the distribution of responsibilities and the engagements, in particular at financial level. 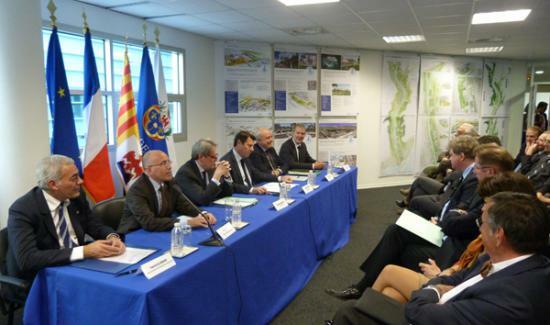 The Public Urban Development Agency (EPA) Plaine du Var. This protocol lays the guide lines of the four first priority operations of the Eco-Vallée operation national interest. It sets the stakes and the objectives to be shared among the different signatories. It details the range of actions of the EPA Plaine du Var for the next fifteen years, and the financial engagements of each partner. It defines the urban operations and the planning associated with the first priority operations. The document outlines the role and competency of the EPA Plaine du Var and the engagement of the partners. The large scale projects which have been programmed can be difficult to carry out, given the number of partners involved and the financial and legal complexities. Hence the need for an agreement on key points, with a protocol which lays the rules. 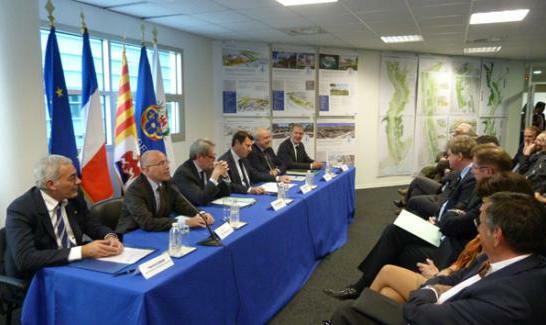 A key point of this financial protocol is that it will help trigger a leverage effect: Thanks to the 64,5 Milion euros of fundings shared among the signatory partners, the protocol will allow the EPA to invest nearly 379 Million euros in expenses for the plaine du Var, which in turn will lead to nearly 2 Billion euros in private investments.